In a bid to keep my hair healthier I have wanted to try more hair oils that promise just that. 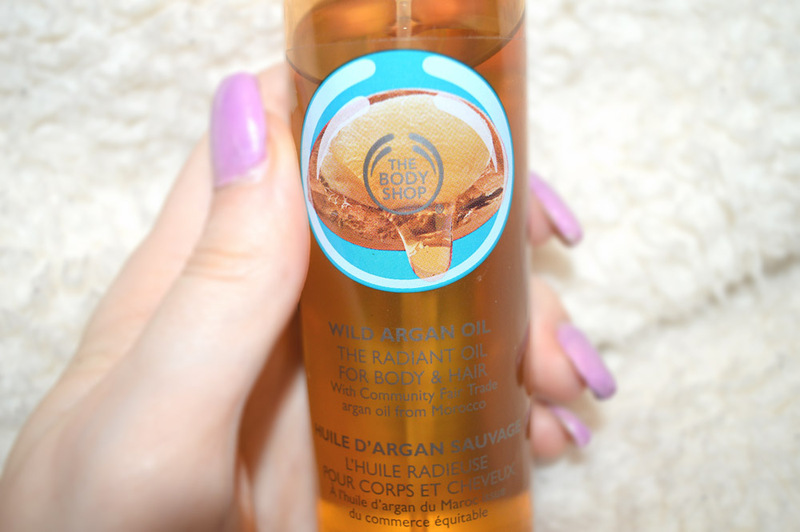 Curious to read my Body shop argan oil review? Be sure to keep on reading to find out how I got on with it and if I think ot’s a product you should add to your collection. At the beginning of February, my boyfriend and I hit Oxford Street in London for a shop and this is where I found Body Shops Argan Oil dry spray as part of their new Argan Oil range. If you haven’t heard the benefits of Moroccan Argan Oil for your hair, where have you been? It promises to deeply condition and nourish hair to bring it back to life and encourage it to grow all in one. So at £14 it was definitely worth a try (plus 10% discount – winning!) You can grab it here plus The Body Shop have amazing online discounts all the time so keep an eye out for them! 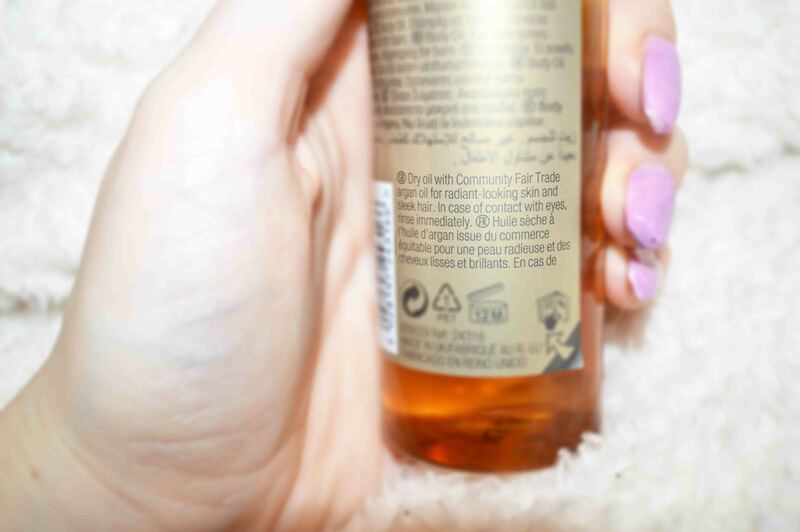 First Impressions: There are some really expensive products within the market with Argan Oil and so I was so impressed with not only the amount of pure Argan Oil within this product, especially for a RRP of £14. Additionally, for a 125ml size product I was really impressed which means it’ll last for ages (as we all know just how little we need to moisturise our hair). What I also loved was that it wasn’t just made for hair, more and more Argan Oil products are incorporating the skincare routine because of just how nourishing it is for you skin as well as well, so I’ll be sure to use this to help the dryer areas of my skin. Using the Product: One of my product peeves are when there are no instructions indicating the best way to use, nor was there on The Body Shop website which left me confused but after some quite a lot of research I found out it should be used just like normal oil for the hair; 1/2 sprays in the palm of your hand, rub together and evenly distribute on towel-dry hair (too much could leave your hair looking greasy!). For using on your body I got the best results when loosely drying myself off after a shower (keeping a small amount of water on my skin) and spraying lightly and letting the water absorb it into my skin for a much healthier finish. My hair has been left with fewer split ends and ends look much healthier than before use. My skin had been dry after the winter months but this has certainly helped to moisturise deeply for a noticeable finish – plus it looks great on legs for a night out! Will I buy Again? Absolutely! It would be so easy to spend in excess of £40 on Argan Oil products that do the same thing as this product plus you get a two-in-one with this being great on the skin as well as hair. My hair is quick to break and often looks unhealthy very quickly but I’ve been using this for over a month and my looks much healthier and split ends have been prevented. This is a really great product and will be in my hair routine for a long time! 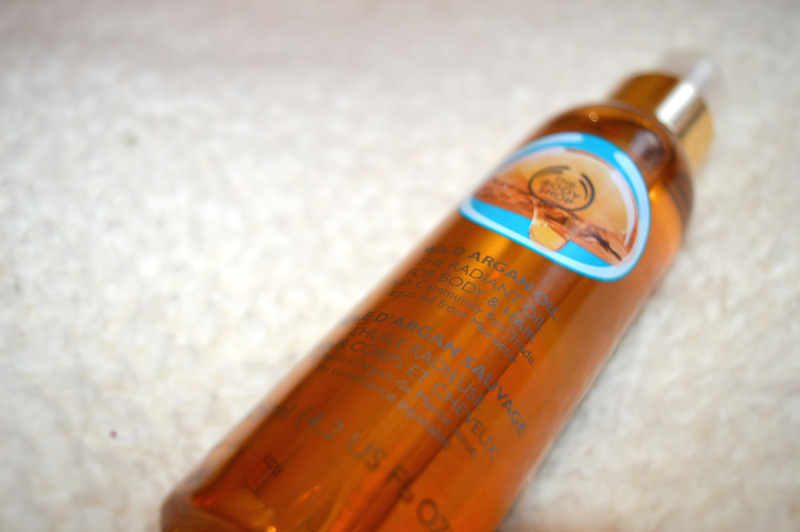 Have you tried any of the Body shop argan oil before? Are you loving hair oils? Let me know!